We are a locally owned and operated business providing The Very Best Quality transmission repair services since 1982. Our team of transmission experts are “The One to Trust” for all of your transmission repair, rebuild or service needs. Call or Stop by Today! Our professional staff will be glad to assist you in a prompt courteous manner. We provide Free estimates and initial diagnostics. If your car or truck has left you stranded we offer Free towing with repairs. Eagle Transmission & Auto Repair of Lewisville TX Located .5 miles north of Business 121 just East of I35E on Mill St in Lewisville TX. The Lewisville Eagle Transmission is conveniently located to serve: Lewisville TX, The Colony TX, Carrollton TX, Coppell TX, Flower Mound TX, Lake Dallas TX, Little Elm TX, Grapevine TX and surrounding area. We offer free road test and computer diagnostics. we work on Standards & Clutches, Automatics, Frontwheel, 4 Wheel, RV’s, CV Axles, Domestic, Imports, lightweight and Medium Duty Diesel Trucks and Diesel motorcar Transmission. We offer a good selection concerning services like transmission repair, differential gears service, rotating shaft repair, transfer case repair. Welcome to Eagle Transmission. We are a Lewisville Texas Auto Repair Shop perfectly located to also function as a Coppell Auto Repair Shop. Servicing all surrounding Texas areas. We offer services in the following areas to name a just a few; Lewisville Transmission Repair, Lewisville Texas Brake Repair, Coppell Texas Brake Service, Coppell Texas Standard and Automatic Transmission repair and much more. 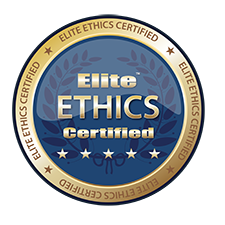 We will always work in an ethical manner and we will always put the customer first. We will contribute to the quality of life and the success of their families by ensuring them with safe and reliable transportation. Eagle Transmission of Lewisville will do this with honesty and integrity while providing quality work and outstanding customer service. 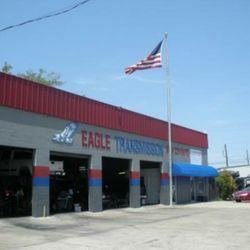 At Eagle Transmission Shop Lewisville our motto is "The One To Trust." That's not just some commercial slogan we came up with. It is in-fact a principle whereby we, at Eagle Transmission, our business. We know that you have a choice, and we strive every day on each repair to provide top notch professional service.We offer free road test and computer diagnostics. 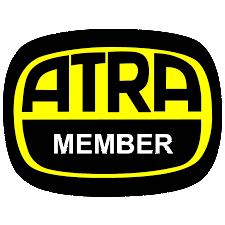 We work on Standards & Clutches, Automatics, Frontwheel, 4 Wheel, RV’s, CV Axles, Domestic, Imports, Light and Medium Duty Diesel Trucks and Diesel Auto Transmissions. We offer a wide variety of services such as transmission repair, differential gears service, driveshaft repair, transfer case repair, just to name a few. We know how important trust is...it's one of the most valuable things one can have or lose. That's why we work hard to not only earn your trust, but keep it for life! We want to be your "Go To" service provider for all of your automotive needs. #1 Transmission Repair in Lewisville. After all, your vehicle is your pride and joy!